Philosophy of Good Care – Stephen C.
Standards of employee training, delivery of care and quality in healthcare, has become the benchmark, for its professionals’ in all disciplines. But, it can also be argued, concern has been raised in regard to the working practices and the ethical and moral maze that encapsulates the debate in health care practices. Therefore, what should encapsulate ‘good care’ is good planning, which is the fundamental foundation that ensures that a patient has a programme of care that supports all their needs. However, there are other important measures that are essential in ensuring good care. These are: competent staff, good philosophy of care: the ethical framework that supports, protects and ensures the holistic practice of care. 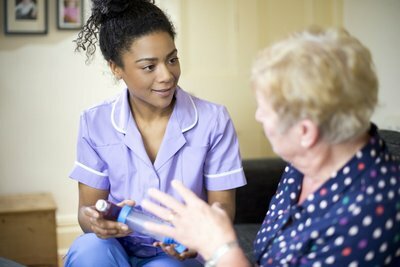 Managing care provision, within mental health services, of which dementia care is a large and growing part; presents an ethical dilemma for the professional. Individual dementia patients cannot in most circumstance, refuse treatment; but, equally, nor can they ‘demand’ treatment, as largely due to the severity of the onset of the disease, the power lies with the professional and not the patient (RCN 2004). As autonomy is ‘taken away’ by the disease it is still a principle of the patient’s rights. The core focus has to be found elsewhere, in the core principles of good care philosophy. Delivery and evaluation for the professionals has never been greater; in which the important notion of ethics, must remain a paramount principle for all involved. JNCIL/NMC, 2015. The Code: professional standards of practice and behaviour for nurses and midwives.. London: Nursing and Midwifery Council. RCN Scotland, 2006. RCN Policy Briefing 12/2006: Patient Choice, Patient Outcome and Nursing Staff, London: Royal College of Nursing. Sokol, M., 2009. Jeremy Bentham on Love and Marriage: A. The Journal of Legal History, 30(1), pp. 1-21.